This amazing set of props will complete your themed event perfectly! 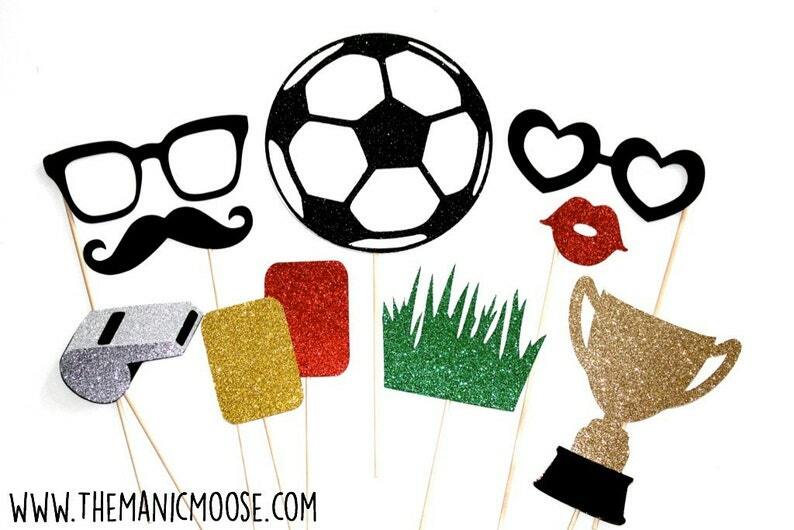 Whether it's a soccer event, birthday party, or just for fun - the props in this collection will be the talk of the night! Featuring glitter galore (no worries - glitter will not shed) - each piece is carefully handcrafted making for the utmost amazing and unique photos! This is perfect for the sports themed event I am doing. Great quality! Did not arrive in time for my event even though I ordered more than two weeks in advance. The owner explained a family emergency and refunded me. It is a nice gesture that was not required, so I'm placing my review at 4 stars.